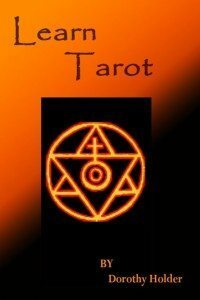 This major arcana card is about the subconscious, the unknown and cycles. There are times when everything you know just doesn’t offer the answers or insights you need, most times this is that dark before the dawn moment, when fear of the dark is conflicted with knowing the sun will shine, at this time many visit every insecurity they have and take their focus inward to such an extent that they can’t see the signs that normally act as directional indicators.The moon also represents just not knowing what to do, with no obvious options desperation can assert itself to make poor choices more likely, this card signals a time to sit and wait, be the observer and be alert for the right moment to take you forward. As a card of cycles this could be an hour, a day, a month or longer depending on the situation.When you can’t see a clear way forward it is a good time to seek advisement if you don’t feel that waiting is an option, although I would have to say, if waiting is not an option it is an unlikely card to draw, in which case you could be getting a warning to sit tight for now. I have often seen this card referred to as deception or dishonesty, but have never seen it that way, if you don’t know the motives of another, or what their agenda is, that doesn’t make them dishonest, it just means you don’t know, and that is the essence of this card, not knowing. Not knowing if things will get better, not seeing things getting worse, not admitting you could do something different, in this it can certainly be a card of denial. Get your own spiritual show or website here.